Dr. Jacono and J Spa are excited to offer CoolSculpting from Zeltiq. CoolSculpting is an innovative technology that was developed to help reduce stubborn areas of fat from your body. 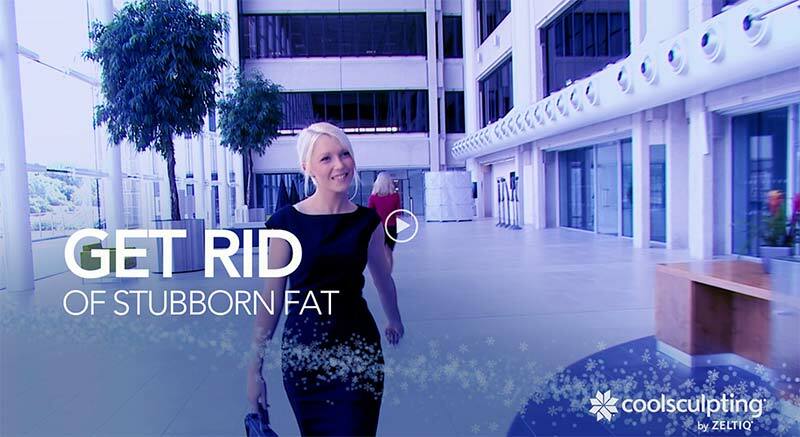 This non-surgical form of fat reduction uses a cooling technique to “freeze the fat” on trouble areas of the body that are resistant to regular diet and exercise. What makes this so revolutionary is that the fat can safely and permanently reduce fat without and needles, liposuction, surgery, or downtime. Though CoolSculpting® can produce body sculpting results that are in some ways similar to liposuction surgery, CoolSculpting® treatment takes only an hour per treatment area, with virtually no downtime and no need for any anesthesia. Patients begin to see optimal results 2 to 3 months after treatment. Even though liposuction is typically used to make more specific changes in body contour, it is an invasive procedure with a moderate recovery period. Dr. Jacono can help patients identify which treatment is best suited for their aesthetic goals. The CoolSculpting Procedure is based on the proven science of Cryolipolysis, which means that fat cells can be destroyed with a controlled cold temperature without damaging the surrounding tissue. This technology is the result of an innovative discovery by researchers at Massachusetts General Hospital of Boston which is affiliated with the Harvard Medical School. What they discovered was that the fat cells directly under the skin were naturally more vulnerable to the effects of cold temperatures but did not have any effect on the surrounding tissues. It was confirmed through these Harvard studies that you could effectively freeze fat away without damaging any other tissue. The study also found that once the fat cells were exposed to controlled levels of cooling, those fat cells died and did not come back. It is the only FDA cleared non-invasive fat reduction treatment that uses cooling and freezing of the fat cells in order to eliminate stubborn fat that is difficult to remove through regular exercise and diet. CoolSculpting results are noticeable and proven and long lasting. With no downtime, patients can return back to normal daily activities as well. This procedure has even been coined as “The Best Fat-Reducing Treatment” by New Beauty. Depending upon the amount of fat reduction you are looking for and the amount of excess fat you are starting with, this procedure can be repeated more in order to reach your body sculpting goals. The best candidates are healthy individuals within a good weight range, preferably within 30 pounds of their ideal weight. The procedure is appropriate for both men and women. Please keep in mind that CoolSculpting is not intended for weight loss. Obese individuals or persons needing to lose a considerable amount of weight are not advised to have the treatment done. The procedure works best to eliminate pockets of stubborn fat on the body that are resistant to typical diet and exercise efforts, such as saddle bags or love handles. What to Expect During Your CoolSculpting Treatment? You will enjoy the calming atmosphere of our state-of-the-art, fully accredited spa. Your CoolSculpting treatment will be performed in a relaxing suite to ensure privacy and comfort. Our staff has received advance training at The CoolSculpting University to ensure you receive only the best treatment possible tailored to fit your needs. We believe in CoolSculpting because we have seen how it transforms our patients, and most of our staff have had this fat reducing treatment to enjoy the amazing results accomplished without surgery! Come see why we are one of the busiest CoolSculpting centers in New York and on Long Island. JSPA focuses on non-surgical and non-invasive procedures to enhance and improve your appearance. For more information about CoolSculpting® or other treatments available at JSPA, contact us today to schedule your appointment or call (516)773-2424. CoolSculpting is a non-surgical form of fat reduction to safely and permanently reduce the amount of fat in certain areas of your body. CoolSculpting uses controlled cold temperatures to isolate and freeze fat cells to destroy them without damaging the surrounding tissue. How long does CoolSculpting sessions take? A CoolSculpting session is usually around 2 hours long but can take up to 4 hours for larger treatment areas. There is some discomfort during the first 5 minutes. When the cold takes over there is a temporary feeling of numbness. CoolSculpting is FDA cleared and safe for most healthy adults. There is some tenderness and a little soreness following your CoolSculpting treatment, but you should be able to resume all normal daily activities. To find out is CoolSculpting is right for you, please schedule a consultation with Dr. Jacono to see if you are a good candidate. You will begin to see the results in about 4 hours. How long do the effects from CoolSculpting last? The results are permanent. When the fat cells are destroyed, they do not come back. Can I undergo more than one CoolSculpting treatment? CoolSculpting can be repeated to gain additional benefits to your treatment areas. What happens to the skin after CoolSculpting? The skin remains the same as only the underlying fat cells are affected. Can you have CoolSculpting following surgical procedures like liposuction or a tummy tuck? CoolSculpting should be safe after surgery, however, you should consult your doctor for permission. How much weight will I lose after CoolSculpting? You will not lose weight from CoolSculpting, but you will see a change in your shape and should notice that your cloths fit looser in your treatment area.